Sheraton Hanoi Hotel appointed Mr. Julian Wong its General Manager from December 2018. As a professional hotelier who has more than 21 years of experience working at Marriott International Inc., Julian has held many leadership positions including General Manager at multiple Marriott key brands througout his hotelier career before coming to the hotel. Mr. Julian has also proved to be an excellent leader by leading the team at the properties he managed to win multiple awards - Marriott Global, Regional Awards, including a Global Special Sales Achievement Award, Asia Pacific Sales Team of the Year Award in 2010 and multiple regional awards for general management including the Asia Pacific General Manager of the Year Award – Marriott Executive Apartments brand in 2011. Novotel Danang Premier Han River has recently appointed Mr Tim Quarm as General Manager. Mr Quarm has more than 20 years of experience working at some of the leading hotels in the world. 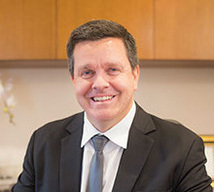 His career as a hotelier has led him to destinations such as Europe, Australia, New Zealand and more recently Malaysia, with such names as ANA, Hyatt, and Starwood. 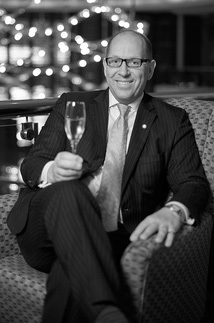 This is his second term with Accor, following a stint with them in the mid-1990s in Sydney, Australia.